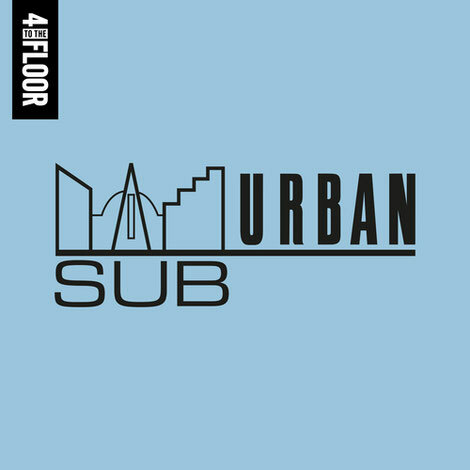 ‘4 To The Floor Presents Sub-Urban Records’ documents the output of the label. Based in New York, Sub-Urban Records was arguably the best and most consistent American garage and vocal house label there was. Co-founded by Tommy Musto under Northcott Productions, Tommy had his hand in much of the musical output from the label and in turn this compilation. Documenting Sub-Urban’s legacy, the album also features material from associated artists including Mike Dunn, B.O.P., Matthias Heilbronn and The JohNick Orchestra. Spunky opening track ‘Free Me’ is a lesser-known Dennis Ferrer co-production, while Tommy Musto appears under his alias Key To Life for three tracks, ‘Forever’, ‘Faithful (Is It Watcha Want)’ and ‘Find Our Way’. The compilation is part of the 4 To The Floor series, selected and compiled by Luke Solomon. It also delves into the Movin’ Records, Fourth Floor, Faya Combo, Soulfuric and Slip ‘n’ Slide catalogues, digging for those lightbulb moments of musical discovery. Fulfilling his role as your friendly record shop assistant, Luke’s label series comes correct with brand new vinyl LP collections and digital albums from these house labels, plus official label merchandise to accompany all of the releases.